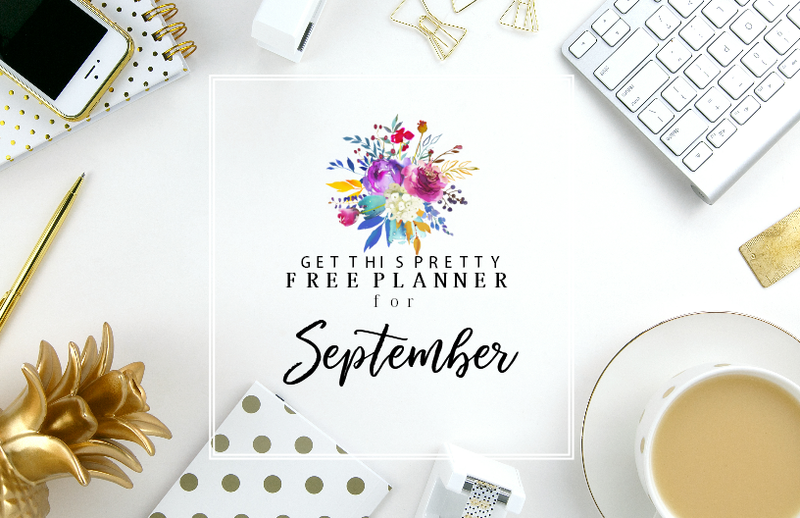 Plan an Awesome September with this Darling FREE Planner! September. Another fresh start. Another opportunity to embrace the new. I have BIG dreams for September and I’m pretty sure you, too, are targeting huge goals for this month. So, are we in this together? Let’s make this month a truly fruitful one. To get us started, I have created a pretty printable September planner that will help us skyrocket our productivity. And oh, the planner is for FREE! 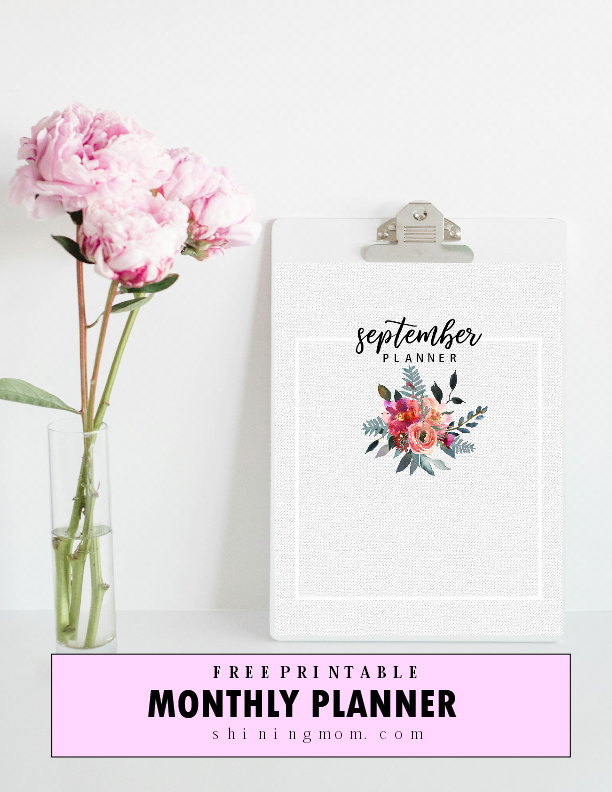 You probably know by now that free monthly planner releases on Shining Mom is not new. In fact, it has been running for so long already that when you have the time to see the archive, you’ll be happy to see different designs. 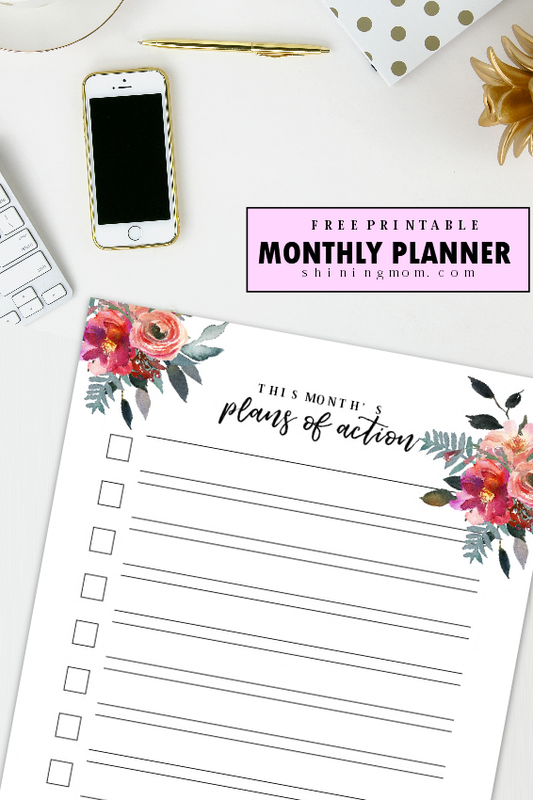 I love creating monthly planners for myself, and I love sharing them on the blog. 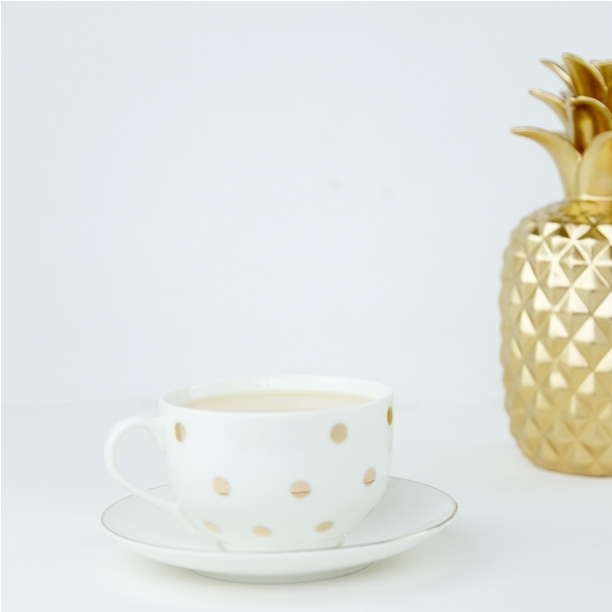 They help me organize my finances, home life and even my blogging schedules. This month’s design is blooming in style and elegance. I incorporated graphic elements from Creative Market to adorn the pages. Let’s have a sneak peek to some of planning pages to give you a feel of what to expect in your download. This printable September 2017 planner has 5 pages: The Cover, Plans of Action, Day Planner, Weekly Menu Planner and Month at a Glance. Each page is designed to help you get organized! Interested? You can easily grab your pretty copy HERE and print the pretty planner right away. What’s New on Shining Mom? Wait! Before you go, I’d like to share a happy news. Did you know that Shining Mom’s planner for 2018 is out already? Be one of the first readers to see the new planner right over HERE! 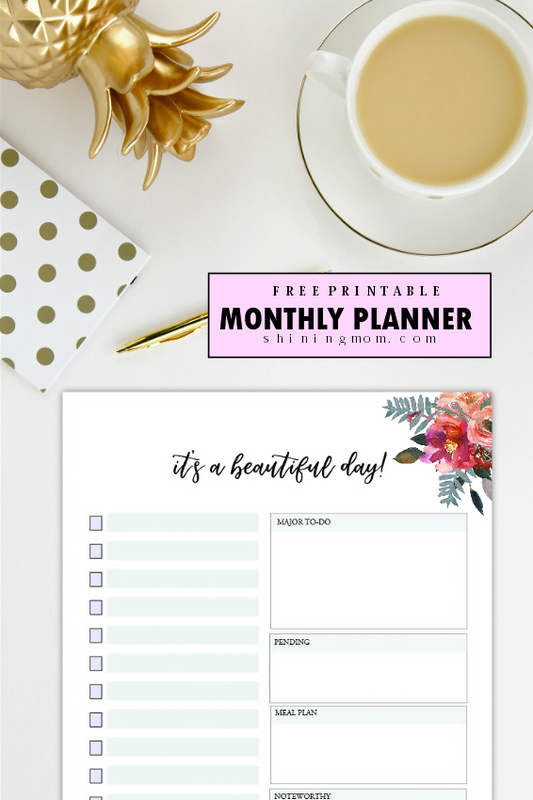 And oh, if you’re a momma and if you think you need an ultimate household binder to help you manage your home, you have to see my flagship planner, the “Every Mom’s Planner” by Shining Mom blog! DO YOU WANT TO SAVE THIS POST? PIN IT! If you don’t have time to print the planner yet, you can always get it later. Pin the image below to save the post! Let’s have a sweet, bountiful and productive September. Cheers! « The Ultimate FREE Planner 2018: Design a Life You Love! The prettiest planners by FAR! I adore you florals, not to pho pho, just elegantly perfect.